Immerse yourself in complete tranquility. Escape to some of the most beautiful scenery anywhere. 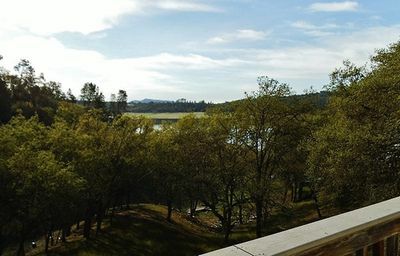 Situated on one of California’s premier recreational lakes and minutes to some of the world’s finest vineyards, you won’t be disappointed. 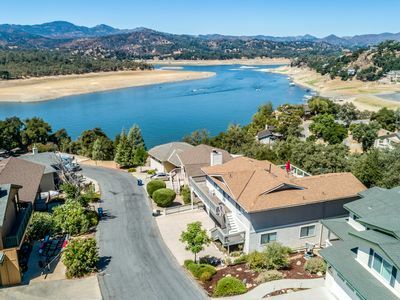 Poised on a large flag lot over looking Lake Nacimiento and its surrounding mountain ranges, you’ll enjoy the most exquisite views and unabated privacy. 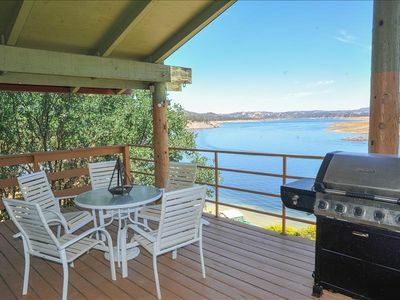 This comfortable 4 bedroom, 3 bath home has recently undergone a complete renovation from top to bottom and offers superior lake views from every room. On the main floor you'll find a family sized bedroom and bath, along with the kitchen, dining and living rooms. The lower floor contains 3 large bedrooms and baths, including a master suite with access to its own deck and 8 person jacuzzi. Every bedroom has at least one king size bed with the exception of a kids room which has two large bunk beds that can accommodate 6, kids or adults. Special attention was paid to selecting only the most comfortable beds and plush pillows and linens, guaranteed to provide the comfort you need for a restful nights sleep. 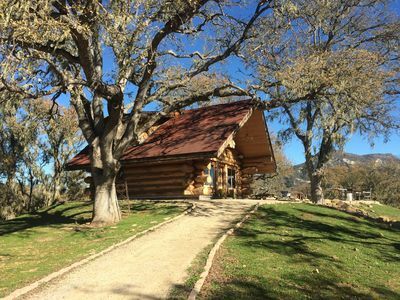 For those desiring exclusive privacy, there is a 600 sq ft, detached guest cottage with its own bathroom and kitchenette. 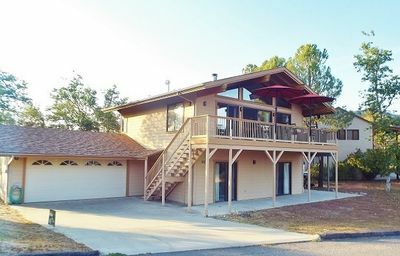 This home provides everything you need to be self sufficient, including a spacious and well appointed kitchen, and outdoor grill. 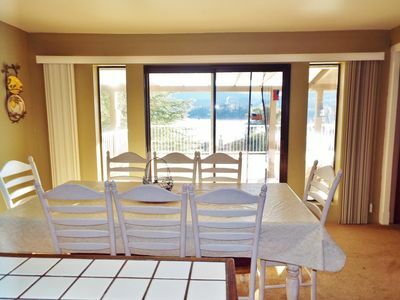 There is plenty of pantry storage for all of your food items and ample dining accommodations, both inside and out. Don't worry about bringing extra clothing, a washer and dryer are available for your convenience. The living quarters are extremely comfortable with televisions in most rooms, including a 50” HD flat screen in the living room, including DVD players for your own enjoyment. 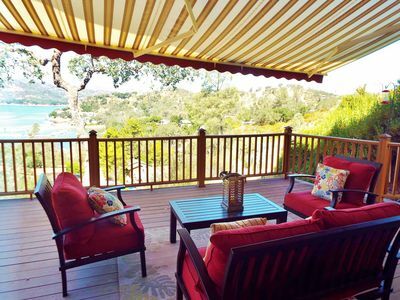 When not playing on the lake or enjoying the club house pool spend your time relaxing on one of several decks encompassing the property. 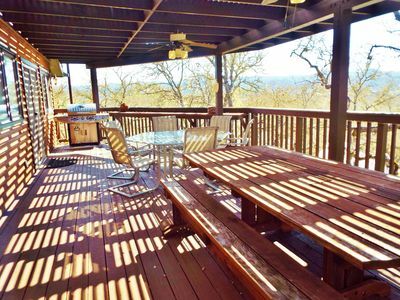 More than 1000 sq ft of outdoor living space is available for your enjoyment. A large covered patio off the main house, equipped with cooling systems, provides the protection you need on sunny days, while two large uncovered decks provide a planetarium experience at night. Did I mention privacy? The house is surrounded by open space, with significant buffering from its neighbors. 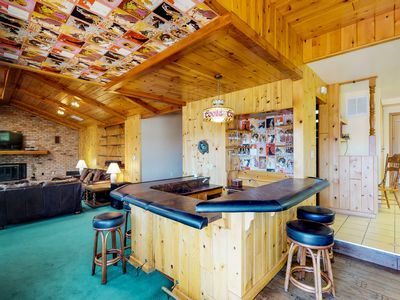 As if that’s not enough, a large playroom provides billiards, foosball and a full workout facility with TV. If work does get in the way of your vacation, know you’ll have free high speed wireless internet to stay connected. 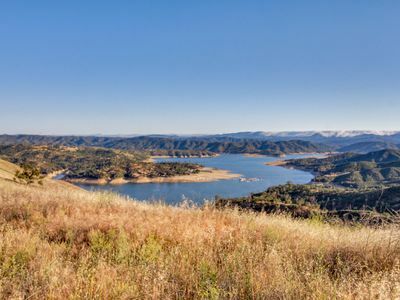 Given the abundance of rains this year, the Lake is nearing its full capacity, providing endless space for your boating needs with miles of meandering tributaries just waiting to be explored. 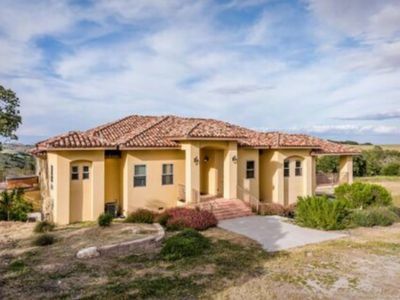 Simply stated,this remarkable home provides all of the amenities you need to create the memory of a lifetime for your family and friends. 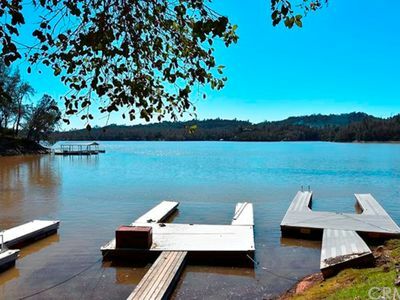 Lake rules limit the maximum adults renting to 8. 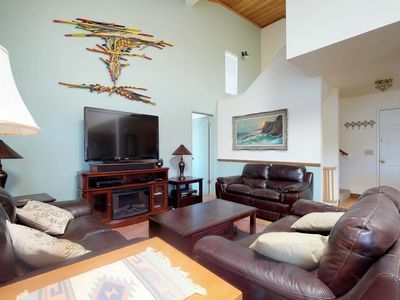 Getaway To This Relaxing, Comfortable Home With Direct Tv And Internet! 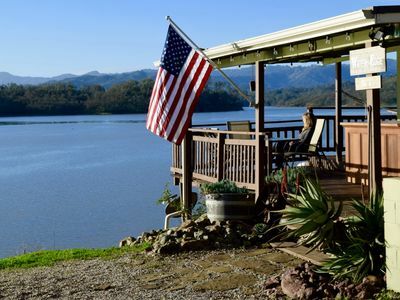 Bradley property is a 5 star home, 3 min from Beautiful Lake Nascimento. Easiest Walk To The Lake. 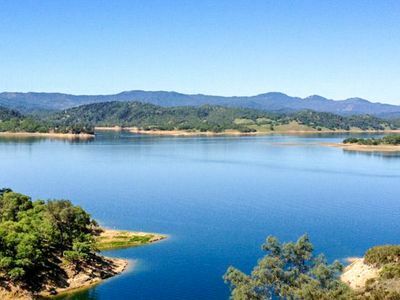 Play On The Lake Then Go Wine Tasting! WiFi Too! 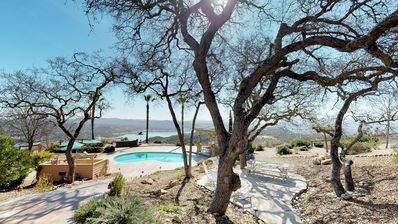 5 min to Lake Nacimiento Marina 30 acre Estate home, Pool, Gorgeous! 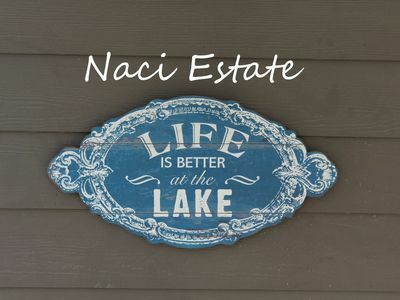 The Craftsman-Views, Pet Friendly, Internet, Private Slip, Direct TV at Naci! NEW LISTING! 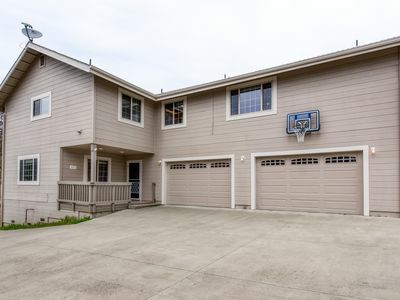 Corner lot home w/ fireplaces, basketball hoop & shared pool! NEW LISTING! 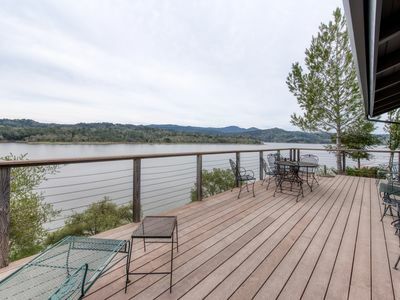 Enjoy lake views from living room or redwood deck, shared pool! 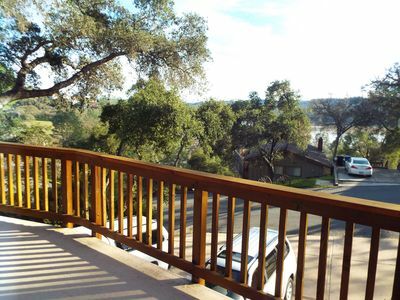 Quit Dreaming come stay at this Pet Friendly Home at Lake Nacimiento! 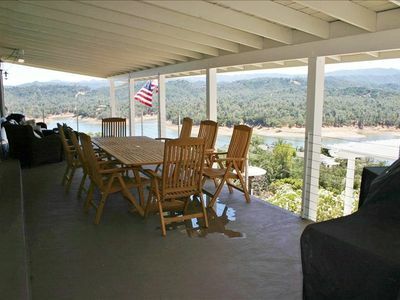 Secluded waterfront home w/ fireplace, large deck, & views of Lake Nacimiento!